Dubai Lifestyle App is an automated Binary Options trading software. According to the basic info provided in the official website of it, the software can take place trading of various Binary Options assets such as currency pairs, commodities, Gold, etc. As per we have told, the software is capable of trading in both the manual and auto-pilot mode. It is a newly launched trading software and looking for 100 beta testers through which traders from the round the world will be allowed to participate in trading for free of cost. Well, all of these claims sounds great, and one may be eager to grab a life changing chance from it. 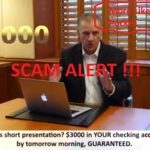 As we know, the Binary Options Trading industry is overwhelmed with many scammers today. So, we have made our in-depth study over this Dubai Lifestyle App, we have come to conclude. 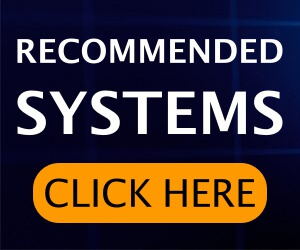 The outcome of our in-depth analyzation of this software are shared o this review post, and you are suggested to read and understand carefully. Dubai Lifestyle App is currently on the trend among many novice traders who got their hands on this platform just recent. The people behind this app has been promoting their system through email marketing and their official website. If you have received such kind of email came across their site with a colorful layout, you might have already impressed by the attractive website appearance and the claims they make to lure their viewers. 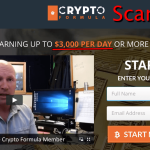 To be precise, this is a beautifully created scam software that possesses the potential to manipulate any novice trader and convince them to register to the system. 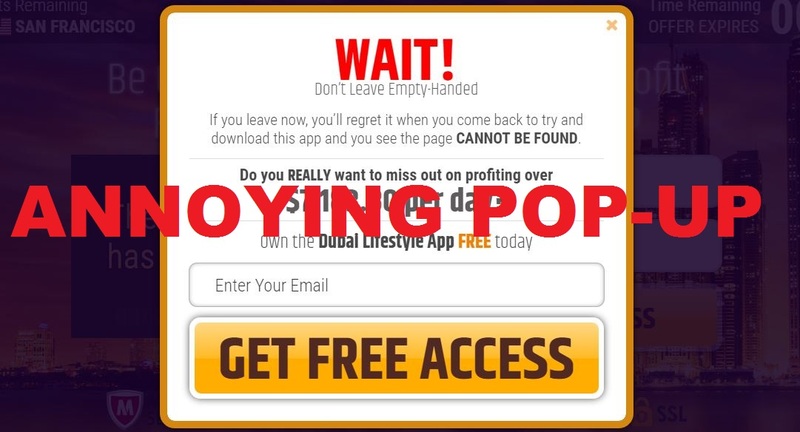 Why is Dubai Lifestyle App a Scam? 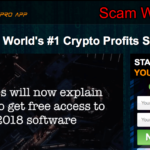 Throughout our in-depth study over the official site and the promo video, we have encountered many suspicious factors that are the indication of scam attempts. So. we have analyzed all of these questionable elements and collected some solid pieces of evidence that proved Dubai Lifestyle App’s scam activity. As soon as you access into the official site of Dubai Lifestyle App, the widget at the top right corner starts counting down to show how much time left for registration. It starts to count down from about 10 minutes. It actually makes you feel that once the expiry time is over, you won’t be allowed to register to the system. As you can see that there is only 9 secs is remaining of offer expiry time in the below screenshot. I have waited till the countdown widget stops to check whether the system denies from allowing access or not. Once the widget stopped counting the time, I tried to access to their system using a fake email ID. After that, an email verification procedure came on screen. The irony is that even though have provided a fake email ID; the system could not recognize this fact and just allowed to access, while the offer was also expired according to the reading on the widget. Later, I have simply closed the entire browser window, cleared up the browsing history, and then accessed to the site once again. This is what I got right after the second access to their site. The offer expiry time just jumped up and went to 10 minutes! So, there was no such limited time offer on this system. It was created to manipulate the viewers that they do not have much time, nad thus forcing the users to register as soon as they dropped on this site. This is a scam activity. During the entire promo video, there was not a glance of alleged CEO & Founder of Dubai Lifestyle spotted. However, you can see his image after scrolling the page a little down. Here, meet the Scott Hathaway, CEO & Founder of Dubai Lifestyle App. Well, of course, this is a fake person. There was no sign of him in the social media platforms when we searched his name; Google does not recognize him either. But, we had found something else when we tried searching the similar images of him in the Google. This is what the reality of Scott Hathaway. This person does not even exist. The image shown on the site was just a stock photo which has been used on several websites. No legitimate software or company would do such cheap act or hide its own founder behind the bar unless the company or software is entirely a scam. And, then the spam pop-up comes to the place to complete the structure of this scam website. No can’t even have a clear look at their website or observe its elements as the pop-up window continuously shows up no matter how many times you closes it. This pop-up window asks you to sign up to the site and register for this software. It also says that this system can earn you over $7,000 per day, and if you don’t register now you will regret it. Wow, that was a hell of deception. To be frank, no legit company will continuously force you for registration as they know their reputation and demand. Of course, $7,000 per day earning from $250 broker amount using an automated trading tool is just too good to be true. The scammers behind this software are not satisfied with those common scam tricks.Apart from all the mentioned standard scam tricks, Dubai Lifestyle App also introduces their team members to show their legitimacy and give their website a trustworthy look. But, this was just another poor idea they picked. The photo of Dubai Lifestyle App team members shown on the official site is also a stock image just like the owner’s one. As you can see, the image has been sold as a stock image in the sweetpics.site. There is no way that the people seen in this images got anything to do with the Dubai Lifestyle App software. And this is just an another evidence that proves the company’s cheap scam activity. Dubai Lifestyle scam doesn’t likely to give up on you even when you are offline. Unfortunately, if you provide them your email address, they will regularly send you spam emails asking you to register to their system now and then. No regulated and appreciated company possess such kind of cheap attitude. We hope you are now confident enough about the Dubai Lifestyle’s scam activities. 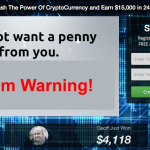 And, you are highly suggested to stay away from this scam software.